Click on the magazine above to review a copy of the Fall edition of the guide. 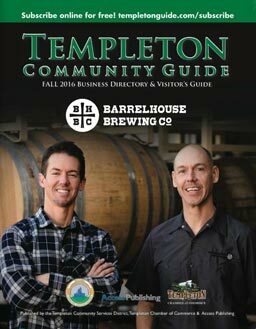 The Templeton Chamber of Commerce and Templeton Community Service District encourage local businesses to support the Templeton Community Guide. It is published twice-a -year, in a spring/summer edition and a fall/winter edition. It’s an official Chamber and TCSD publication designed to inform local residents of news and activities; portray the beauty of our community, and promote our local businesses. The magazine will feature visitor highlights and photos and stories about the community’s rich history. Last year’s guide was a big success and we look forward to building on it. All advertisements run in full color. Layout and design are free. 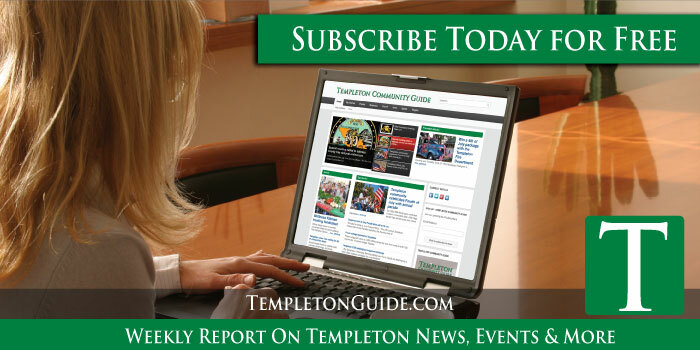 More than 7,000 copies will be distributed all year long with a copy mailed to every resident and business in the Templeton zip code. The folks at Access Publishing, who have served the North County for 22 years, produce this publication. If you would like to participate in the guide, call Access Publishing at (805) 226-9890. Online advertising options are available all year long. Reach the Templeton community today! 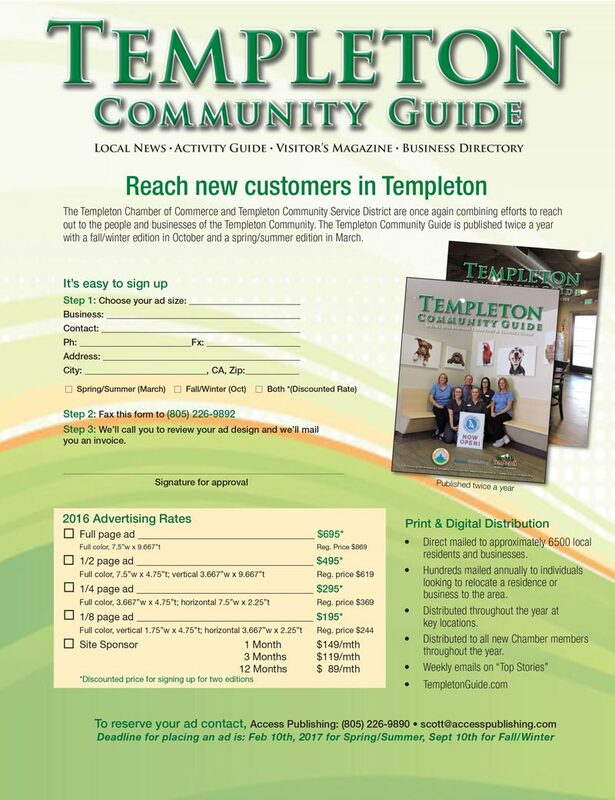 It’s easy to advertise in the Templeton Community Guide.